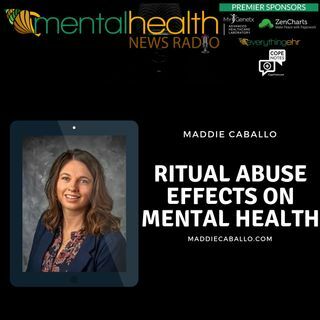 For this show we delve more into Maddie's experience of having grown up in a cult and experiencing ritual abuse. She'll be doing her own series on Mental Health News Radio so we'll look for more discussions about her experiences. Maddie is certified through O.K. Corral as an Equine Assisted Learning (EAL) professional. She has taken coursework towards a certification in Equine Assisted Learning at Prescott College in Prescott, Arizona, and is a Level 2 Graduate in the Parelli Natural Horsemanship program. The most significant training comes from her own personal experience of healing trauma as an on-going client who participates in therapeutic sessions with a therapist who specializes in trauma for many years to heal Dissociative Identity Disorder (DID) and Complex Post-Traumatic Stress Disorder (C-PTSD). Maddie is recognized as a Distinguished Member of MoradoASC having completed the Speaker and Consultant training program, She speaks to national and international attendees at conferences sharing her own personal experience. She understands that she cannot change what happened to her; and now, it is her mission to help professionals working with trauma clients to understand the unique needs of the survivors they work with. She also seeks to inspire other survivors to continue their journey and search for what feels right for them and know that they are not alone.